When is art the most fun? Why, when it can be manipulated for profit of course, which is exactly what you’ll be doing in Gorogoa! Well… save for the profit bit. But you didn’t need that anyway, right? The fun of zooming, panning and rearranging beautifully illustrated panels is all you need. Or I’m hoping it will be anyway, because I don’t really know what your end-goal is here. That said, did I mention just how gorgeous Gorogoa looks, or how intriguing its mechanics are, as panels are moved around, broken into several parts and manipulated in many an odd ways? Oh, and I’m sure it’ll all make sense in the end. Somehow. Maybe. Yeah, probably not. Even so… I’m willing to wager you’ve never played a game quite like this, even if it does share similarities with the likes of FRAMED. That’s not necessarily a bad thing though, as I do so enjoy coming across a puzzle-centric experience that puts a unique twist on the genre – and this is certainly a case of that, what with its tear-panels-apart-and-slide-them-around-to-progress… thing. Thing. Things. Panels. Everywhere. All coming to life before my very eyes. It’s magical! 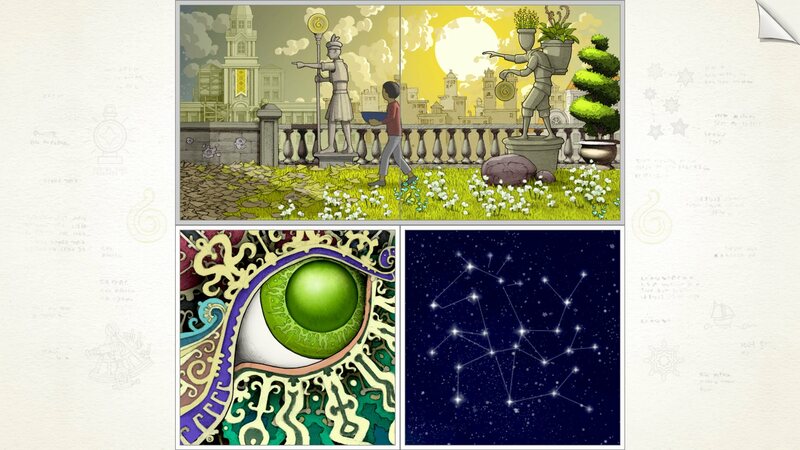 Gorogoa is available on Steam, GOG.com, Switch and iTunes, carrying varying price tags.